Trail Condition Reports From the People Who Ride the Trails. Surprise! Believe it or not we now have the best snow of the season. We received close to a foot of fresh snow overnight and it's still snowing. Check out the Gaylord Cam to see it with your own eyes. Temps will remain below freezing through the weekend. Hope you're able to make it up for what might be the best riding of the season. February 10, 2008 - Gaylord, Jordan Valley, Grayling, Alba, Lewiston and Luzurne. Rode from Gaylord to Mackinaw today by way of trails 7, 720 and 9. Gaylord trails were smooth and freshly groomed. Our friends from Indian River were given the O.K. by the DNR to resume grooming. The trail was much improved since our attempt to ride it on Monday. 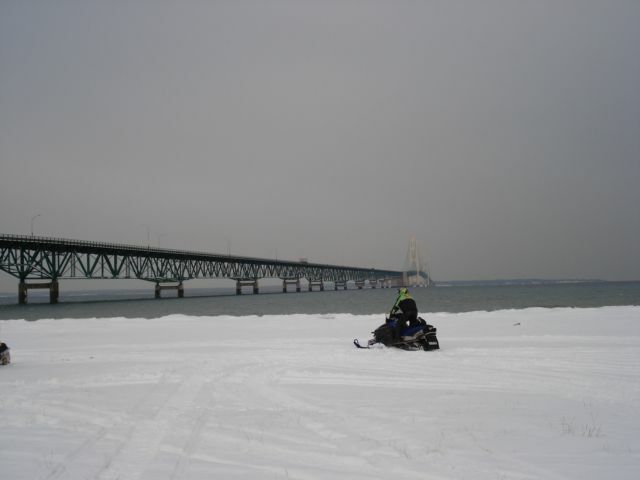 The new trail from Indian River to Cheboygan had lots of fresh snow and was groomed. Unfortunately because of the lack of a good frozen base, a lot of stones and gravel on the railroad grades are working their way to the surface. Skis and skags are going to take a beating. The trail from Cheboygan to Mackinaw was great. We received about six inches of snow this week but, the trails are marginal at best. There is still not much of a base. They are predicting more lake effect snow for this Friday and Saturday. If we get it, the trails should be decent. Still not mid season conditions yet. We are looking for people interested in sending us trail condition reports from your area of the state. We live in the Gaylord area and will cover the trails around here. 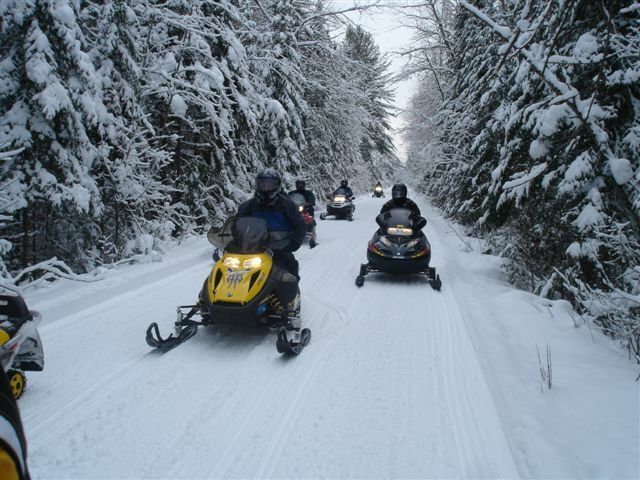 If you are interested in keeping your fellow snowmobilers up to date on your local trail conditions please e-mail us. We will include a link to your website on all of your reports.